In Windows 10, the Start menu is the default option for pressing the start button. However, many people are used to the full screen Start screen introduced in Windows 8. Here is how to change the default behavior of the Start button. 1. 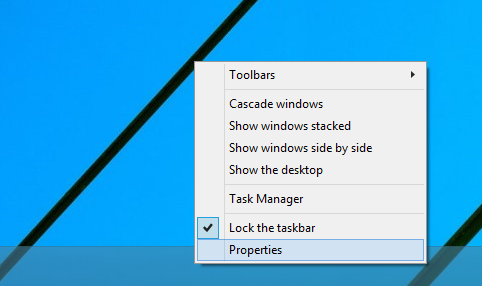 Right click the Windows task bar and select ‘Properties’. 2. In the Taskbar and Start Menu Properties windows, click the ‘Start Menu’ tab. 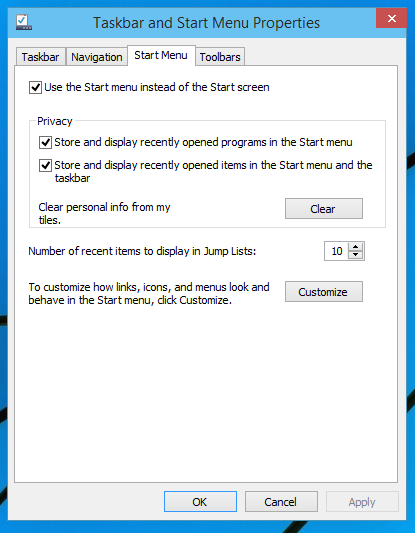 Uncheck the ‘Use the Start menu instead of the Start screen” option at the top of the window. 3. Log off and back on to get the Start screen active. Behavior will be similar to Windows 8.x Start screen.